I've never chosen a word for the year. This year, however, I've decided to choose one. Why not, right? 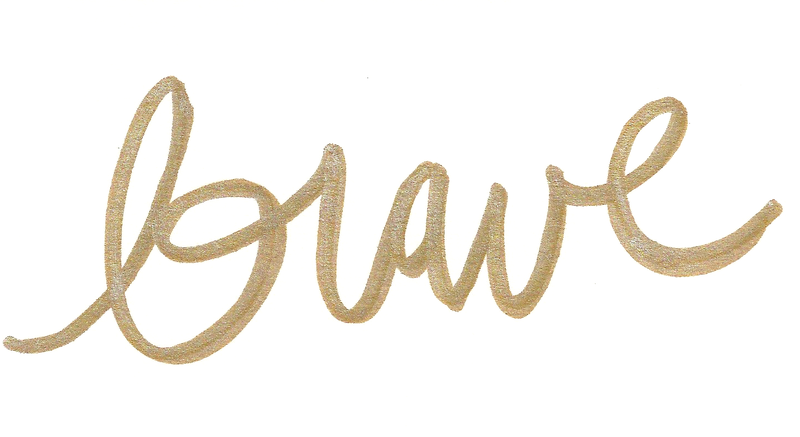 I chose the word brave because I want this year to look different. I don't want to walk in many of the ways I often choose--the safe, the way most people go, the paths I know. Lately, I've been thinking about how many decisions I make based on how safe or simple they seem. When I look back, I see many missed opportunities for deeper friendships, deeper trust and knowledge of God, and deeper intimacy in my marriage. I also see rumpled up dreams in the trash and goals crossed out because they seemed too scary. Fear stopped me and safety told me to walk away. But this year, I want bravery to pull me forward. I want to use the gifts that God gave me--fully, not fearfully. I want to see what happens when I don't stop for fear, and I don't retreat into safety. I want to see it in my marriage, in the way I mother, and my relationships with others. At the same time, I don't think this means that I rush into everything with abandon. 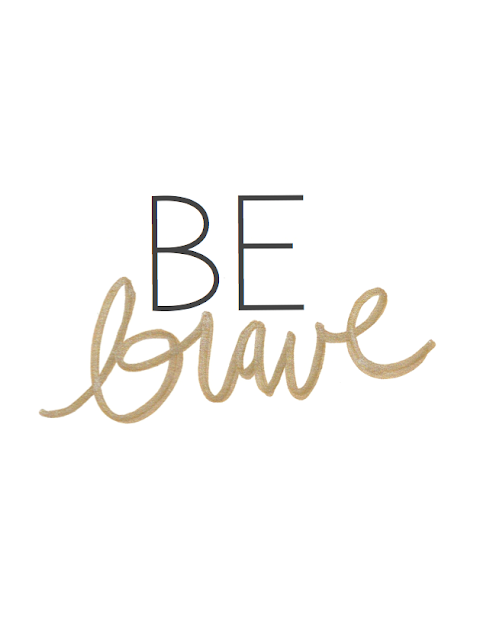 For me, being brave means being available to step into the unknown, push aside fears, and be ready to trust God in the bigger and the scarier things. Available and ready to boldly walk forward. That is what brave means to me. I know that I won't always choose to be brave, but I hope that I choose to be brave more than I choose fear or safety. My prayer is that my boldness and bravery is rooted in the bottomless pocket of God's grace and the identity I have in Christ. 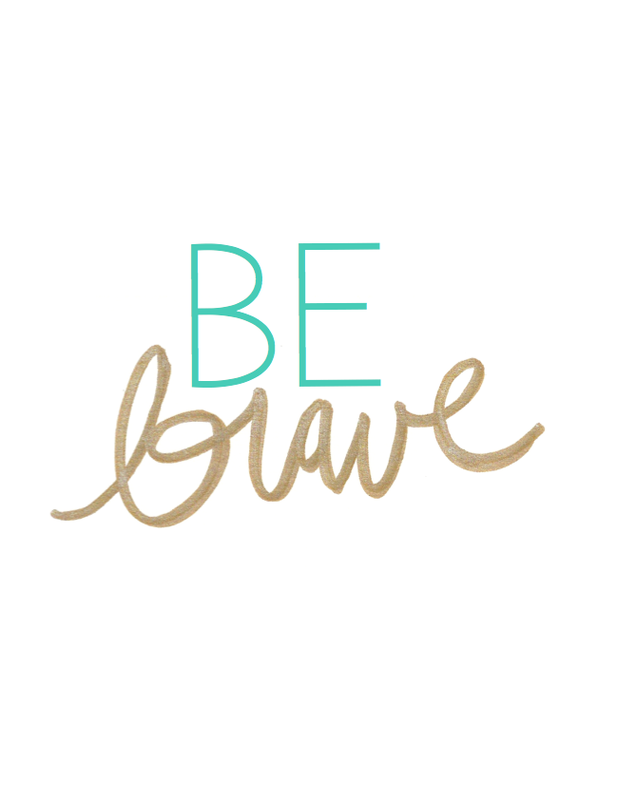 If it's not, my bravery will just turn into pride--which will end up deflated, defeated, and in despair. I don't have a clue of what this year will offer. It could be filled with unknown after unknown, hard times, or lovely and sweet times. I don't know. But what do I know? I know that I want to be available and ready. ps. for fun, I created these prints for you to print out, pin, share, give, and use. Just click the link below each one to download and print. Do not copy or resell these prints; they are for personal use only.